Din Tai Fung is a Chinese restaurant that has a lot of fans around the city and Northern Beaches, and now in the south too.This restaurant was probably the most highly anticipated change to the refreshed Westfield Miranda complex. It may have taken a long time, but it was a foodie experience that was worth the wait. Judging by the queues, the locals would agree with me. 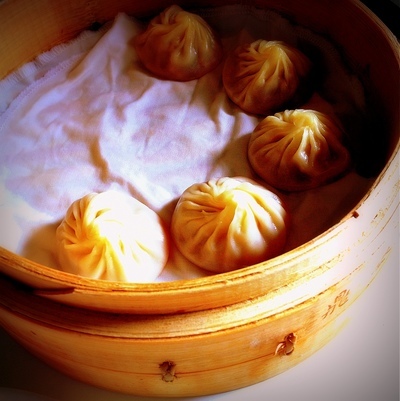 The first restaurant was born in 1974 from a food stall and from there this dumpling lovers heaven has open in America, Japan, South East Asia and Australia. These dumplings have been described as "the best dumplings in the world," so when I had the opportunity to have lunch at the Miranda restaurant, I had some pretty high expectations. 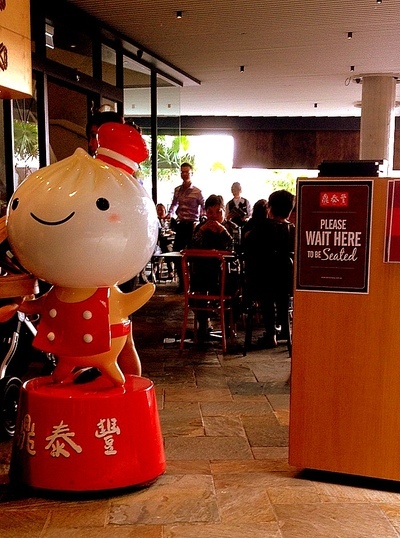 - The mascot of the restaurant, the dumpling boy. As you walk to the entrance of Din Tai Fung at Miranda you are met not only with a statue of a cute dumpling boy, but also a big glass window through which you can see the dumplings - and other delicious treats - being made. The huge number of tables are spread over two floors with a beautiful lotus and coy fish mural on both levels, as well as a modest indoor area and a balcony area that overlooks the new outdoor garden. The staff give each table a fold-out hamper in which to put your handbags, rather than having to put them on the ground; a simple, yet fantastic idea. - Crunchy and crispy delights. The menu at Din Tai Fung differs between restaurants, and also differs to their online menu. Pork and prawns are a big part of the Miranda restaurant, so if you don't like either, you may not get as much out of this dining experience. 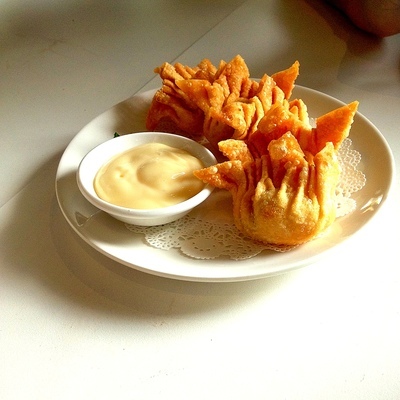 The first dish I would recommend is a crispy wonton filled with mango and prawns and a tasty dipping sauce that reminds me of aioli. The vegetable and pork buns ($3 per piece) and the shrimp and pork shao mai ($10.80 for 4 pieces) were also delicious - making me understand why the business is so popular. - Nobody can ever stop at one. 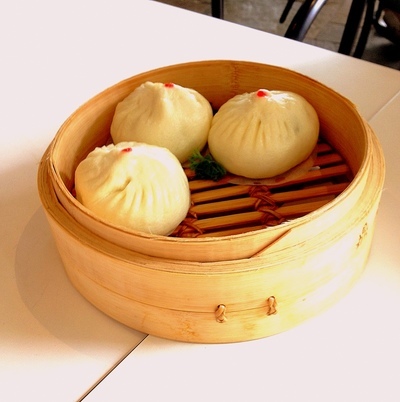 Din Tai Fung's signature dumpling is probably zhao long bao ($10.80 for 6 pieces). It is a unique sort of dumpling as it contains a soup that is topped with a vegetable and meat mixture. Eating this dumpling is a little tricky, so to prevent it from spilling everywhere you need to put it on the soup spoon provided and then bite a small hole, allowing you to drink the soup. Din Tai Fung also offers a wide range of east and west fusion desserts. Although I am yet to try them, I am looking forward to tasting the taro bread rolls, the taro gelato and the red bean rolls on my next visit. 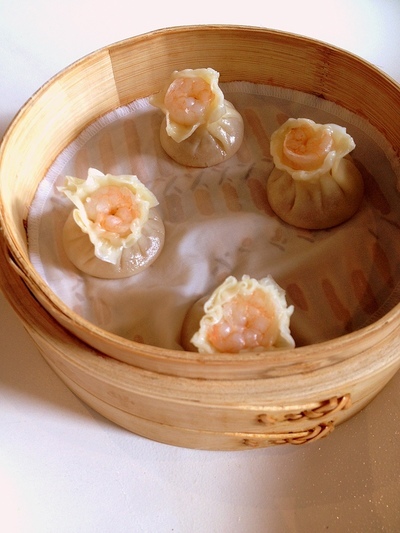 - Watch out for the soup in these signature dumplings. While my experience at Din Tai Fung was a pleasurable one, there are a few small things that could be better. I think a broader choice of fillings and meats would appeal to more people for instance, and the dishes are primarily designed to be shared with friends, so ordering for a couple or yourself even is rather limiting. Finally, there is a strange practice of kitchen staff wearing masks bringing food out of the kitchen and almost to your table. However instead of placing the food down, they hand it to the wait staff. I feel like it's not only strange, but impractical to pass the food between staff that are a mere metre from your table. Despite those few small issues, Din Tai Fung is a nice place for lunch or dinner, and with the current cold, wet weather, it is a great time to visit the newest addition to the franchise and try their fantastic dumplings and their range of warm noodle soups. Where:Level 2/3 Westfield Miranda (shop 2200), 600 Kingsway, 2228. When:Open for lunch every day from 11am - 3pm. Dinner Sunday - Wednesday 5pm - 9pm and Thursday to Saturday from 5pm - 9.30pm.